In what became the largest bust and rooster rescue in state history, as many as 3,000 birds and 70 people were rounded up in New York last weekend. "Operation Angry Birds," as it was called, involved three simultaneous raids from Saturday night until Sunday in New York City and at a farm outside the city. 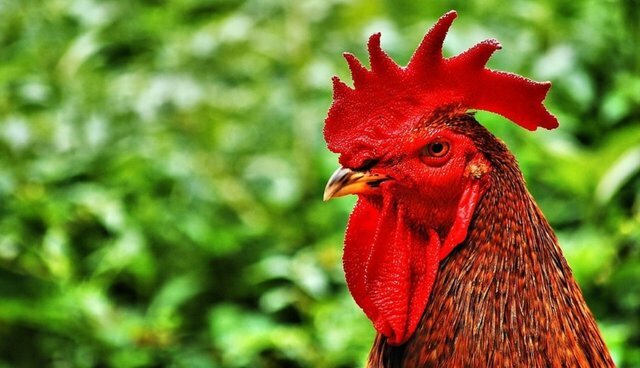 "Cockfighting is a cruel, abusive and barbaric practice that tortures animals, endangers the health and safety of the public and is known to facilitate other crimes," said Attorney General Schneiderman to the NY Daily News. "My office, along with our partners in law enforcement and animal welfare, are committed to ending this vicious blood sport." Thanks to an unnamed informant who videotaped cockfighting events, which were reportedly held in Queens twice a month, nine people were arrested from a Queens and Brooklyn location. Six of those were charged with animal fighting, a felony punishable in New York by a maximum penalty of four years in prison and a $25,000 fine. Officials also found veterinary drugs, steroids, antibiotics and syringes used to boost the animals' fighting performances, and sharp spurs that are fastened to their feet for fighting. At the same time that the NYC busts were taking place, state investigators raided a 90-acre farm in Plattekill, N.Y., where the The American Society for the Prevention of Cruelty to Animals recovered roughly 3,000 roosters there. Cockfighting, which is illegal in all 50 states, is a sport that is defined by animal cruelty. New Yorkers can report animal abuse to Schneiderman's Animal Protection Initiative by calling 1-866-697-3444.